At Red Goat, we strive to bring simplicity to the workflow in your foodservice environment. For nearly 50 years, Red Goat Disposers have been a trusted name within foodservice environments across the United States and at sea. Founded in Cincinnati during the era of The Big Red Machine—the nickname given to the Cincinnati Reds baseball team as they dominated the National League in the 1970s—Red Goat Disposers paid homage to the team’s dynasty with a coat of bright red paint as the finishing touch on every disposer assembled and sold. Coupled with the idea that a goat—by nature—will eat anything, the Red Goat disposer brand was born. Red Goat has built a reputation of dependable performance through consistent, reliable products that bring simplicity to a kitchen’s workflow. 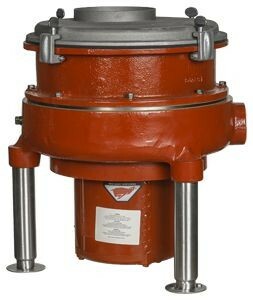 Manufactured in Lancaster, Pennsylvania, Red Goat food waste disposers are designed and engineered to withstand the roughest environments. When you need high-performing, reliable food waste management, turn to Red Goat—where quality is our priority. Experience the Red Goat Difference. Let our knowledgeable sales staff recommend the perfect food waste disposer for your operation based on your unique needs. Call us today at 800-237-6628.